CALLING ALL FISHING GUIDES IN THE FLORIDA KEYS! CALLING ALL ANGLERS THAT FISH IN THE KEYS! 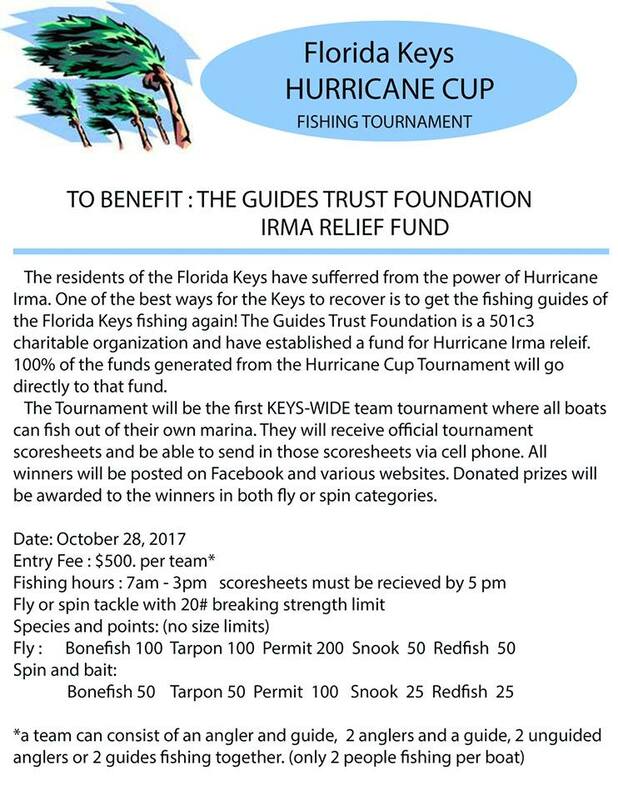 Everyone in the fishing world is asking how they can help in the Florida Keys! Instead of holding the COSTA Backcountry Fly Championships on October 27-28 Paul Tejera is putting together an After Irma Backcountry Fishing Tournament on October 28. 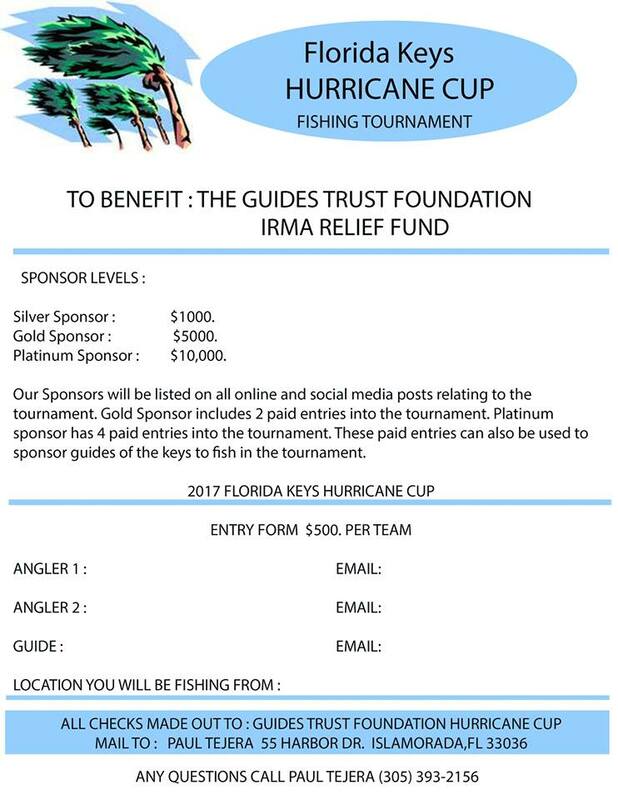 This tournament will directly benefit The Guides Trust Foundation which directly helps the fishing guides in need! All the proceeds from the tournament will go to the GTF! We will be seeking donations (tax deductible) from sponsors and companies that want to help. This is a Keys Wide event! The lower, middle and upper Keys all benefit from this Fund! The GTF is going to be helping fishing guides in the coming months, lets show our support in a big way! I want all guides to participate and see how big we can make this, and please bring your sponsors on board! bonefish, redfish, permit, tarpon and snook. Entry fee will be $500. directly to Guides Trust Foundation. THE FASTEST WAY FOR THE KEYS TO RECOVER IS TO GET OUR FISHING GUIDES WORKING!